From Mom’s best health advice – to top doctors everywhere – soup broth tops the list of healing foods to eat when you’re feeling sick or simply need a soothing, light and nutritious meal. Varieties of soup broth include vegetable, fish, chicken, beef and bone broth without meat. A broth is made by simmering the ingredients, straining off the solids and saving the liquid, which will be low in protein and carbohydrates, but abundant in nutrients. For robust flavor and optimum nutrition, you want your starter ingredients to include a variety of veggies and herbs such as: carrots, celery, garlic, mushrooms, onion, spinach, leeks, broccoli, green beans, bay leaf, turmeric, ginger, parsley, and pepper to name a few. Warm broth when drunk can help ease irritation from a sore throat, and provide what the body needs to prevent dehydration and manage nausea. 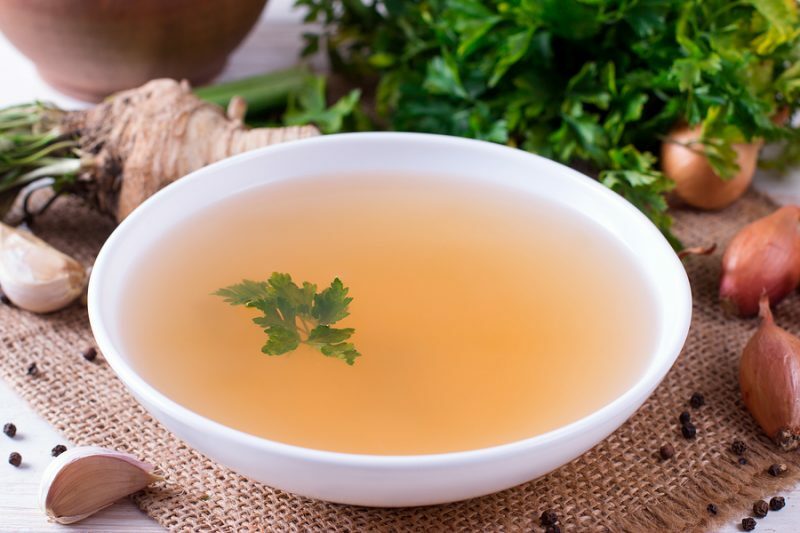 This is because broth contains many minerals, including magnesium, potassium, sodium, and calcium, which are important to hydration and heart and muscle function. You’ll also get Vitamin A, which is important for immunity because of its role in maintaining the integrity of epithelial cells that line the gut and respiratory tracts. The wider the variety of veggies and herbs included in the broth, the more robust the vitamin and anti-inflammatory power. You might wonder if a broth needs to be a bone broth to have the most benefits. Research done a few decades ago and published in the journal Chest showed that drinking chicken soup was more effective than hot or cold water at activating movement of mucus through the upper respiratory system, but was the chicken the responsible ingredient? Earlier research showed that when bone broth alone was compared with bone + vegetable broth, the latter had more nutrients. 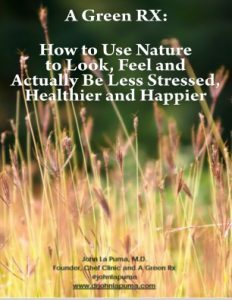 Additional science published in 2000 found that chicken soup (made from chicken, parsnips, parsley, carrots, and more; you can see the full recipe here) seemed to inhibit the movement of white blood cells, which attack infection and lead to the lousy symptoms associated with a cold. So, the soup simply makes you feel better. Yet there was no conclusion on whether it was the chicken or the veg. My suggestion is to try them both for yourself during the remaining winter months ahead. I think you’ll discover that whether you’re sick or not, the scent of broth brewing in your home and the experience of it warming your body will be soothing either way. Dr. Henry Bieler was a visionary American physician who advocated for the treatment of disease through diet, largely through his book Food is Your Best Medicine: The Pioneering Nutrition Classic. He believed the primary cause of disease is not germs, but imbalances in the body caused by lifestyle, including poor diet. His famous broth, the recipe for which is shared here, is rich in potassium and sodium. It supports the healthy functioning of the liver and the adrenal glands. This broth also provides nourishment for the body when feverish. *Use organic veggies when possible, or local and in season. Place water, zucchini, string beans, and celery in a stock pot. Bring to a boil, lower heat and simmer for about 30 minutes until vegetables are softened but not overcooked. Spoon the mixture into a blender, add a handful of parsley, and liquefy. Pulse a few times to get it started. Make sure you hold onto the lid. One pot of broth will create several blender batches. Have a pitcher or jars on hand to fill as you blend. To thicken the broth and enhance the healing properties of the broth, add a teaspoon of ghee to each blender batch.